"What a great way to either not camp in a tent or not stay in a hotel! We love the yurt and want one of our own. Carla (aged 4 ½) said when we opened the door: WOW! Love the furniture and decorations, excellent breakfasts. Thank you for your hospitality. We will spread the word all the way to Sweden! " "Thanks for a fantastic start to our honeymoon! The caravan in Fort William seems so less attractive now! We will be back next year for our anniversary"
"Every aspect of the yurt was fantastic! Despite the buffeting winds we loved the brilliant view and waking up to the singing birds and gorgeous chorus outside. We especially loved the decorations inside the yurt, even the toilets were lovely! Thank you for a great holiday, we will definitely be back!" 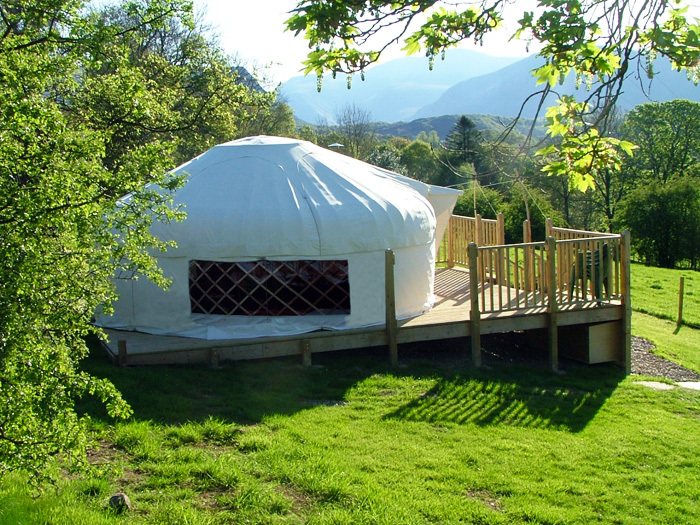 "Our holiday together in the yurt was to celebrate 2 special birthdays and our anniversary and it has proven to be superb. The whole ambience/atmosphere inside makes you feel relaxed all the time. Debs & Johnny were fantastic hosts, with nothing being too much trouble. The breakfasts set us up for great days out and the views across the Screes and Scafell Pike some of the best ever. All in all a holiday we will never forget. Thank you for a great week." "Thank you for a wonderful stay. 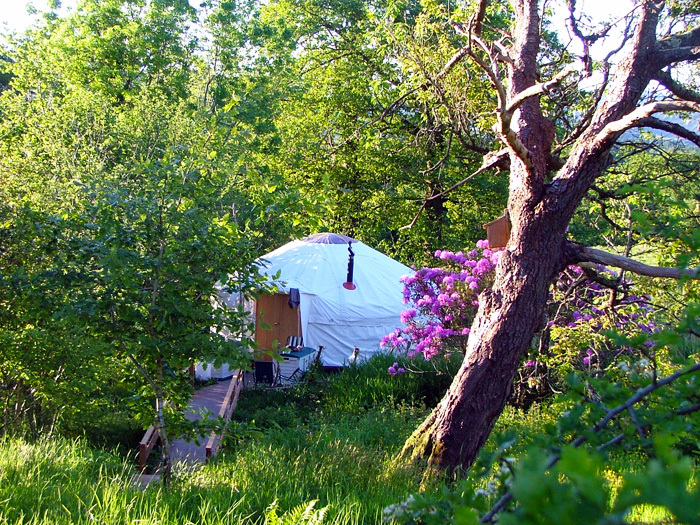 Great breakfasts, great views and the yurt – what can we say! If the Hilton did camping this would be it. We feel very privileged to have stayed here. You are both great hosts. Made my 40th birthday all the more special – we will be back; many thanks and best wishes"
We were here for summer solstice but you wouldn’t believe it – rain, rain and then some? Gale force winds, but we walked and came back to THE BEST THING – THE YURT! It’s beautiful and the cosiest place to be after you’ve had a soaking. Even got a veggie breakfast – gotta be a first! Fab people running it too – big thanks to Johnny and Debbie – what a great pair! We’ve had a terrific stay – cheers! "What an amazing place! The yurt is fantastic inside and out! We came to the area to look for a place to hold our wedding reception and to find out if we can be married at the Wasdale Head church. Now we know we can be and will be visiting the area once a month for service so will be sure to visit this wonderful place again! Robin was a fabulous host and made a great fry-up! Thank you for a perfect weekend away!" 30 years but this was a 1st! and I hope it won’t be the last. Lots of owls at night, cows mooing and we think we heard a red deer or two bellowing! Dinner in The Screes Inn, Nether Wasdale was delicious. Walking in Wasdale, waterfalls fantastic. 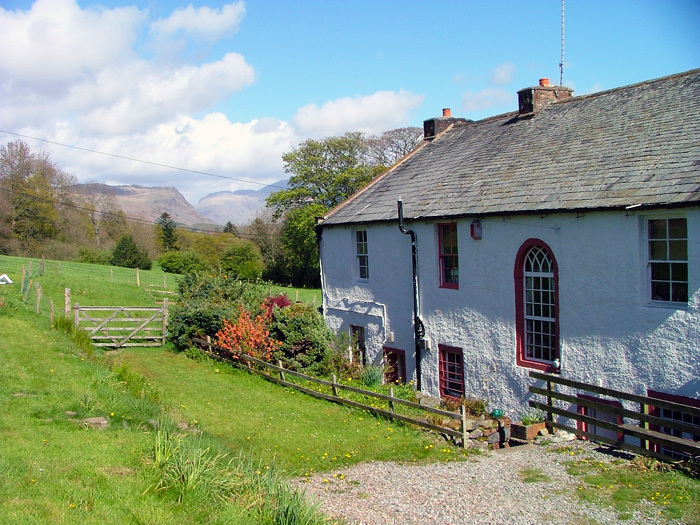 Rode bikes to Wasdale Head Inn for lunch, rode the Ratty from Ravenglass – another 1st! Thanks Debbie & Johnny we couldn’t have asked for more. Hope to see you soon. We will be watching your progress on the web and wishing you success for your future plans; you deserve it! Thank you so much for a wonderful week! 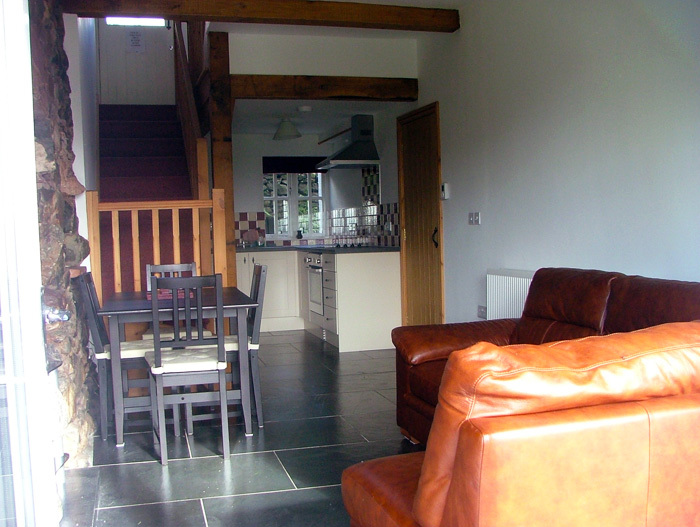 It’s been the perfect place to combine a family holiday with a romantic retreat and some good exercise too! Got 2 fantastic walks done and spent a windy, rainy day snugged up inside. Definitely one of our favourite holidays so far! Thank you too for letting us use your kitchen! We’ll climb that great rock through wind, fog and rain. You keep the gate open we’re coming to stay!"